Ansvar has been providing specialist insurance and risk management services to our customers since 1961. 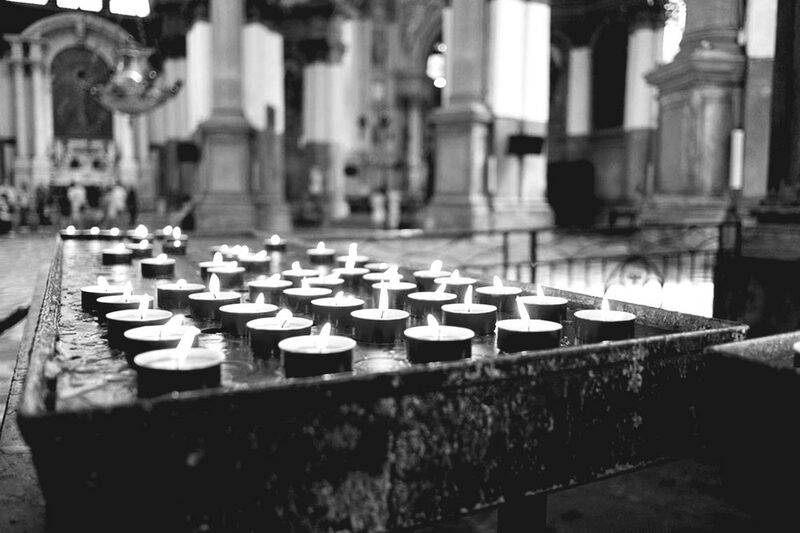 Ansvar Risk understands the increasingly complex challenges facing faith organisations today. We provide tailored services that take into account the unique characteristics of faith based service organisations. In rapidly changing and increasingly complex environments, boards, executives and senior managers must consider risk when setting objectives and making strategic decisions; traditional risk management approaches are no longer adequate in times of greater complexity, uncertainty and in an evolving risk environment. Enterprise Risk Management (ERM) refers to an organisation-wide approach to consider the potential impact of all types of risks and opportunities to achieve the objectives of a business. Implementing a comprehensive approach assists to guide behaviours, resources, practices and processes. It helps to make sound decisions, prevent harm, achieve goals and support a positive culture. Ansvar Risk can assist you to understand the effectiveness of your current approach to risk management and guide you to improvement opportunities. We support your journey with expert governance and risk consultancy, risk workshops and training, tools and templates, online sector-specific risk packages and provide access to our risk partners to provide you specialist systems and advice. Please contact us to discuss strengthening your organisations/ your clients organisations risk management by registering your interest below. 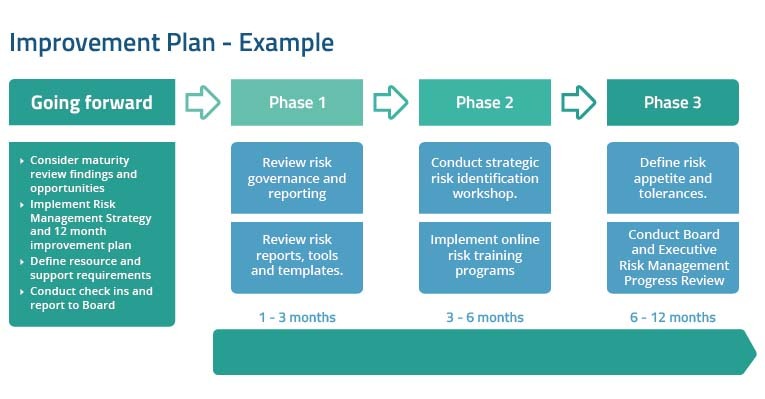 Pictured is an example of a risk improvement plan for an organisation. This plan is be presented in an overall report for an organisations board. 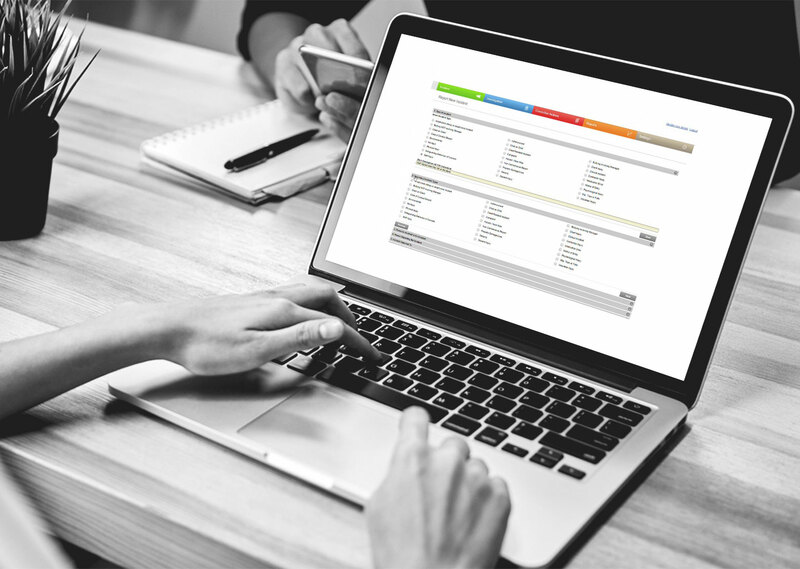 The online risk packages will support your organisation to develop a systematic and online approach and will also deliver accurate risk data for robust decision making. Click on the link below to watch demo videos and learn how you can get your organisation setup. The Ansvar Safe Ministry Training system is designed to help church communities protect against harmful and abusive behaviours by creating an awareness and helping everyone know how to respond when they have a concern about someone’s safety. Ansvar customers receive discount rates. Ansvar’s Management Liability policy holders (existing and new) have access to our free advice line 1300 938 220 to receive guidance from an Employsure employment practices specialist ensuring best practice is followed. Learn how to support your clients with expert employment practice services. Through AIS International, Ansvar provides employee ($34.50) and volunteer ($15.50) background police checks for organisations. The user-friendly online portal takes candidates 10-15 minutes to complete with vetted information received within a few hours. Risk Quality Surveys are a fast and accurate way to undertake site inspections, collect data and calculate sums insured for better risk management and insurance solutions. Our expert Risk Advisors will survey your site, provide quality assessments and give an immediate verbal overview on their risk observations and the opportunity to discuss their risks on site. This insightful reporting enables our customers to make informed decisions more quickly. Following the survey, our Risk Advisors will provide the customer with an accurate written account of their observations which includes a quality rating, recommendations to mitigate risks and a clear pathway for their organisation to improve their risk quality rating. 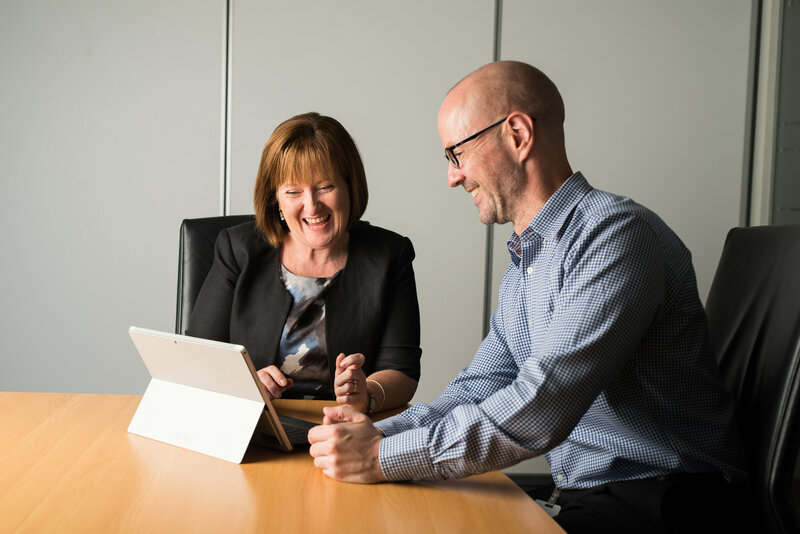 We are specialists in our core sectors and you can be assured that when you speak with one of our Risk Advisors you know you are dealing with a true expert – someone who understands your sector. Risk Quality Surveys specific to the faith sector include conducting aerial roof inspections of churches, temples and other buildings using drone technology. In order to collect data on all aspects of a building or large surrounding area, Risk Quality Surveys may use a combination of drones, laser technology, photogrammetry and 360 degree cameras to allow quick and efficient image and data capture. These state-of-the-art technologies provide the safest, fastest and most accurate way to collect and assess data. All our Risk Advisors are highly trained and CASA qualified to operate drones. Following a drone survey, the collected data is processed into an informative report for the customer that includes a quality rating, recommendations to mitigate risks and a clear pathway for their organisation to improve their risk quality rating. The videos show a combination of footage we recorded using state-of-the-art technologies. 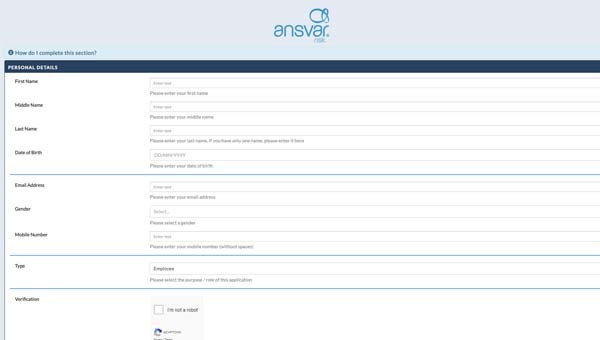 Ansvar Risk provides tools, checklists and fact sheets to help the prioritisation and management of our customers’ risks. 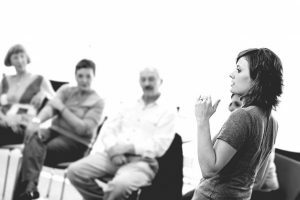 Not every organisation has a dedicated ‘risk manager’ to take ownership of the risk processes, reporting and frameworks, and it is often an ad hoc responsibility, especially in small organisations. Ansvar Risk has created an online risk education hub to enable our customers to access the resources they need. The hub provides simple, sector relevant-tools, checklists and fact sheets to help the prioritisation and management of risks. Copyright 2018 Ansvar. All rights reserved.